The push for or against nuclear power has taken on a new dimension since the Fukushima nuclear accident in Japan earlier this year. The German government decision to go it alone, without nuclear power, is influencing the debate in Europe. These were some parameters of the debate last night at the Common Sense Society event that was held at the Ybl Palota in Budapest. The organizers were kind enough to invite me to debate the merits of nuclear power in Europe. The discussion was moderated by András Deák (Center for EU Enlargement Studies), while Ada Ámon (Energiaklub) took the opposing side of why nuclear power is not needed in Europe. I argued for nuclear power and why it is central for reducing carbon emissions. However, it needs to be stated that I’m not an expert on nuclear power. But I feel strongly enough and informed enough, as I told the organizers, that I can explain why we need nuclear power to keep climate change in check. I believe I made a coherent case for it last night – or at least within the 7 minutes alloted and in the follow up questions. I thought I would share my bare bone notes here. 1. Nuclear power is needed because of the failure of society and politicians to advance a more green agenda, with clean technology, earlier and fast enough. My argument is based on T and T: Time and Technology. However, there are strong time and technological limits that must be dealt with. The most pressing limit, is the rise in global temperatures due to CO2 emissions. This is particularly scary, when we consider the following study. There is now a greater than 50% chance that global temperatures will exceed 3°C increase by 2100. This is based on a study that says, pledges by countries are not sufficient to keep global temperature rises below the 2°C agreed in the Copenhagen Accord. Therefore TIME is of the essence. Since time is of the essence we need to consider the evolutionary timeline of energy systems laid out by the United States Energy Secretary, Steven Chu. “Look how long it took to make the transition from wood to coal, coal to oil and gas: 50-60 years. We cannot make this transition in another 50 or 60 years. It will be too late for the climate” (Thompson 2010). Therefore, there is an urgency to transition to a new energy system. Only through a concerted effort, like in Germany, where there is a strong political and social agreement, that the high short-term price will be paid to transition to an energy system without nuclear power. This transition in Germany is particularly important. (this point comes out of the discussion after the debate, but is very important). Germany is now ready to finance the shut-down of viable nuclear power plants. The ratepayers and the taxpayers of Germany will have to pay an extra amount to the owners of these facilities NOT to use them. This is a substantial development, as it indicates the importance of the transition. This is what occurred in the United States when they moved from a monopolistic to a ‘competitive’ electricity market. The sunk costs that had accrued under the monopolistic system, were taken over by states, in order to foster a more competitive electricity market, under the belief that electricity prices would be lowered. This is an important political and financial decision that does represent a systemic transformation in the dominant energy regime. Downsides: Nuclear waste remains with us for 100,000 years. Finland is building a storage facility to last for 100,000 years. Climate change caused by human activity, releasing CO2, remains with us for 100,000 years. If we don’t act within the next few years we will not be able to keep global temperatures low and even worse cataclysmic events will occur. How many people does severe weather kill each year – as a result of climate change? What will be the result of drought on global food supplies? (for a great discussion on this 100,000 year timeline listen to this podcast, with Curt Stager). Fucushima has demonstrated the worst case scenarios of total meltdown of three reactors. The result has been a minimal environmental impact. No doubt very bad for the locals but on a global scale, much much less compared to the impact of global warming and the carbon and toxic emissions from coal power plants. Passive safety features. European regulators will require core catchers. A containment vessel around the main containment vessel. Nuclear power is the outcome of the pursuit for a more sustainable and independent energy system from the 1960s and 1970s. It is important to remember that energy systems are local. Local opinions and the governance systems matter – they choose the path for technology that will be producing zero carbon emissions by 2050. WE MUST DEVELOP MORE NON-CARBON BASED ENERGY SOURCES NOW. NUCLEAR GETS US TO WHERE WE NEED TO BE WITHIN THE TIMEFRAME. Not just because it is clean, but because it works. The EU’s Second Strategic Energy Review, calls for decarbonizing Europe’s electricity system by 2050. How can we get there? Nuclear power is a product of past efforts to create a more sustainable and clean energy system. It was a concerted goal that had political, social and agreement with industry. We don’t have time to reinvent the wheel. Therefore, nuclear power is needed. The present energy system is based on a concerted government, economic and social regime. Focused over years, decades, to build a particular system. It is these factors that will shape whether we need to use nuclear power to meet our future energy demands. It would be great not to use nuclear power, but is that realistic? At least for the next 100 years? If gas is the present bridge fuel for another 20 or 30 years, then nuclear – and third generation nuclear is the bridge fuel for the next 60 to 100 years. The focus is on carbon reduction, AND QUICKLY. If we don’t do that then the planet for the next 100,000 years will be broadly impacted. Fukushima and Chernobyl show us the devastating localized impact of nuclear power accidents. We need to consider not just the developed economies of Europe, but the planet as a whole and the impact that our demand for energy has on the planet. If society, politicians and the economic sacrifices can build a zero carbon energy system without nuclear power – great, but so far outside of Germany there is not this widespread support. Six European countries overwhelming rely on nuclear power as their main source for power. Forcing them to develop a new energy system, along with other countries that use nuclear power too, will require a very long lead time. 50 or 60 years, we do not have that long. Nuclear power, because it is the product of a previous energy regime, can be used as a key power source to transition the planet to the next clean energy system. Climate change caused by human activity, releasing CO2, remains with us for 100,000 years. …………….If we don’t act within the next few years.. … How many people does severe weather kill each year – as a result of climate change? Fucushima has demonstrated the worst case scenarios of total meltdown of three reactors. The result has been a mininumal environmental impact. No doubt very bad for the locals but on a global scale, much much less compared to the impact of global warming and the carbon and toxic emissions from coal power plants. Nuclear power is the outcome of the pursuit for a more sustainable and independent energy system. Why is nuclear power positioned so well for this transition? Energy systems are local. Local opinions and the governance systems matter – they choose the path for technology that will be producing zero carbon emissions by 2050. MUST DEVELOP NON-CARBON BASED ENERGY SOURCES NOW. NUCLEAR GETS US TO WHERE WE NEED TO BE WITHIN THE TIMEFRAME. Not just because it is clean, but because it works. EU’s Second Strategic Energy Review, calls for decarbonizing Europe’s electricity system by 2050. How can we get there? Nuclear power is a product of past efforts to create a more sustainable and clean energy system. It was a concerted goal that had political, social and agreement with industry. We don’t have time to reinvent the wheel. The energy sector in Eastern Europe benefited from the central planning efforts of the communist era. The oil, gas and electricity networks built during this time were robust and based on a high level of security of supply. While the oil and gas transit networks may have resulted in dependence on Russian sources, they were nonetheless robust and served to drive national economic activity. In 2004 when many countries in the region joined the EU their interconnected electricity network were more robust than most systems in Western Europe. The privatization efforts that begin in the mid-1990s and carried through the mid-2000s (see my Energy Policy article) were marked by selling electricity and gas distribution companies. This corresponded to the establishment of energy regulatory authorities to oversee the activities of these private companies, ensure the public good is fulfilled and keep prices in check while increasing reliability. This regulatory system, when allowed to function, can serve the interests of consumers and ensure private companies make investments while receiving a fair rate of return for their efforts. Some would mark this last period as neoliberalism with the introduction of private capital and withdrawal of the state from the direct provisioning of public services in energy. A more accurate term would be the rise of ‘sectoral governance’ (Bulmer et al 2005), that is occurring globally. (But that is for another post and the basis of my next journal article). ‘Some’ (bad term to use, but I’ll do it here), consider private ownership in the energy sector, which is the driver of economic activity and has a direct impact on household budget and inflation as an essential state function. State ownership, it could be argued, is important to provide stability, long-term planning and investment to serve the national economy. In Hungary, ‘the state’ is now in a process of reclaiming ownership rights lost during the ‘neoliberal era’. The need to reclaim ownership in the energy sector is about building up a strong industrial base for the country nation, as pointed out by Peter Szijjarto, the Hungarian Prime Minister’s Spokesman. “We do not have a serious national industry so in order to reanimate the national industry we need to take such tough steps as for example reclaiming MOL…. In order to make Hungary strong again, we need to eliminate energy dependence, and we need to restore the national character of our strategic companies in parallel with their international operation,” Szijjarto said (Reuters, and my take on it). Hungary enters a new era with reclaiming ownership in energy companies. The sweeping election of Fidesz, according to Prime Minister Orban allows them to finally end the communist era in the country, thus the need for a new constitution and to reshape the country according to their ‘post-communist vision. The introduction of high taxes on sectors of the economy that are privately held, like banking, energy and retail that were done to save Hungary from economic ruin, as it was explained at the time, now begin to appear as part of a broader reworking of the economic order in Hungary. Orban is leading the Fidesz-KDNP coalition in the process of not just transforming the country from a communist-socialist-private capital haven, which is represented in its own local form, but slaying the broader global order of neoliberalism. Hungary is now, according to Orban, leading the world into a post-neoliberal order. “While we have put an end to the basic principles of a neoliberal era, we have yet to build up the non-liberal economic policy of the 21st century, in terms of planning, coordination and practices,” he said, adding that because there had been no planning in the real economy, financial planning was askew. “The old world order is on the verge of collapsing; we have no reason to wait for the advice and opinions of opinion-shapers stuck under the rubble,” Orban said.“We say, however, calmly, politely and unflinchingly: this is none of your business; this is the business of Hungarians,” the prime minister said (MTI, my take on it). It is this new “non-liberal economic policy” that Hungary will be leading the region and the world in. While Romania and Poland pursue privatization of part of their energy sector, under the old way of thinking that private capital can modernize the sectors and lift some of the economic burden from the state, Hungary views the energy sector not as a burden, but as the fundamental building block of a state owned industrial complex (haven’t we seen this before?). But what is the post-neoliberal era that Orban describes he is putting in place? 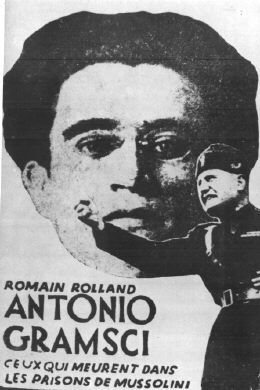 Well, this is a huge question that only quoting Gramsci, Polanyi and the like can answer fully – or only partly. But essentially, don’t expect the worker or the tax payer to be better off. The 2 billion euro price tag of MOL demonstrates that it is the taxpayer/worker/citizen that will be paying for this new order, through higher taxes and services (i.e. feed through of ‘crisis’ taxes in inflation) while also having their working rights eliminated, as demonstrated by the total elimination of worker rights in Hungary over the past year. In fact, the post-neoliberal era looks like it is described in this excellent article by Elmar Altavar as presented at a conference in Venezuala in 2008. The crisis of neo-liberal ideology does not necessarily result in a post-neoliberal order which aims at social forms beyond capitalism. In the contrary, post-neoliberalism in finance can result in new forms of capitalist hegemony which again include a stronger role of the state. Contrary to ‘old Keynesian’ state interventionism, the new interventionism – including austerity with regard to the social wage – will not be designed in favour of workers’ interest and the environment, but in an undisguised political support of financial interests. National solutions become the way out of the current neoliberal crisis of capitalism. According to Altavar the state comes back into the economy to provide support to the faltering capitalist system. But while Altavar describes a heavy burden being placed on the taxpayer to finance capitalism to save it from drowning, Orban uses the public monies, not to save the banks and the capitalists which traditionally drive growth, but uses the cash, along with the capitalist’s money, to finance state acquisition of companies for the purpose of reintroducing the state into the market based economy. This occurs in strategic sectors to benefit the Hungarian nation – and state. In this case, the energy sector. Under Hungary’s new post-neoliberal energy order, energy companies will be used to extend the Hungarian nation-state into domestic and foreign economies. Under this nationalist guise, this may include active participation in former Hungarian lands (Romania and Croatia). The Hungarian territorial state is only a core vessel for the economic activities of the Hungarian nation. If growth and economic prosperity, under this line of thinking, is to occur then the whole Hungarian nation throughout the Carpathian Basin needs to benefit. The re-industrialization of the Hungarian nation will be led and financed by the Hungarian people and companies. The logic continues, that MOL, with the help of state owned electricity provider MVM, will lead this economic revival. Along the way, Hungary will boost its energy security through diversification of energy sources (although this remains dubious if 100% of oil is from Russia). The Hungarian nation will become strong by energy, industrial and financial diversification. Those leaders and financiers in America and Europe that Orban scorns, will hold little sway over how Hungary carries out its economic and social post-neoliberal revolution. I thought I would post a few interesting statements by Hungarian political leaders I came across this week, along with a brief personal reflection. “We do not have a serious national industry so in order to reanimate the national industry we need to take such tough steps as for example reclaiming MOL,” Peter Szijjarto told private broadcaster HirTV in an interview. “In order to make Hungary strong again, we need to eliminate energy dependence, and we need to restore the national character of our strategic companies in parallel with their international operation,” Szijjarto said. He did not elaborate on the possible further steps or the areas of industry involved. 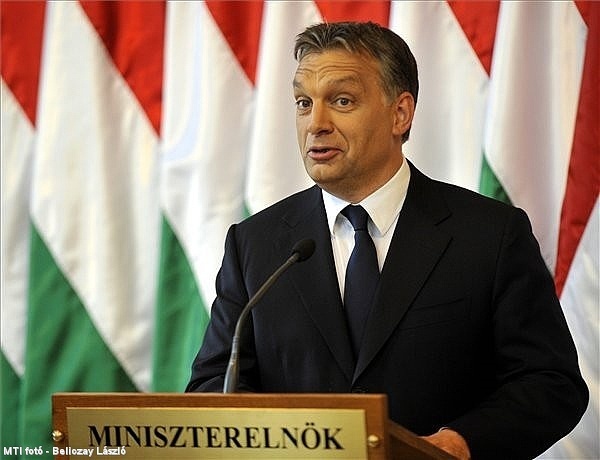 Prime Minister Viktor Orban told a conference assessing the first year of the centre-right government on Tuesday. Orban went on to reject the idea that Hungary should listen to foreign criticism. “It is worth listening to ourselves and we should not wait for either approval or the contrary,” Orban said. “In the past we have often abandoned important plans just because someone in America, Paris, Berlin, Brussels or London didn’t like it and let ourselves be discouraged, only to give up on the whole thing in the end,” he said. “The old world order is on the verge of collapsing; we have no reason to wait for the advice and opinions of opinion-shapers stuck under the rubble,” Orban said. He said Hungary was still likely to come under attack for various reasons, including the new constitution and economic policy. “We say, however, calmly, politely and unflinchingly: this is none of your business; this is the business of Hungarians,” the prime minister said. 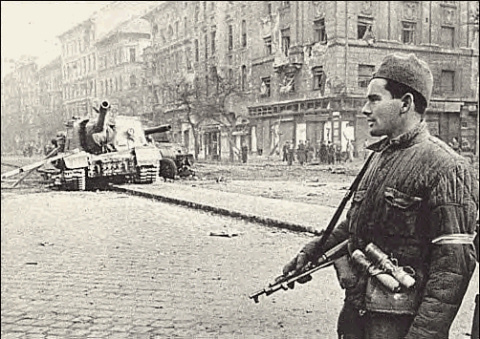 Towards the end of the Second World War, Hungary is occupied by the Soviet army and all streets, squares, institutions are renamed. People who continue to use the old names are arrested and beaten up by the communists. Immediately after the occupation, an old man from a village, visit’s the country’s capital, Budapest. He gets lost. Not knowing that the streets have been renamed, he ask people for various place names. Old man: “Excuse me, sir, where is the “Heroes’ square”? Old man: “Excuse me, sir, where is the “Chain Bridge”? The old man gets terrified and takes a walk on the bank of river Danube. He’s spotted by a soviet officer who shouts at him with anger.